In almost every politically conscious country, presidential contests are marked by the crafting of campaign messages and the advocacy of political values. Ebola-plagued and listless, Sierra Leone can be likened to an abused patient in an emergency room, gasping for life while her politicians compete for supremacy. As a result of that oddity, the 2017 presidential contest has already generated more enthusiasm than the remorselessly efficient Ebola virus in the country. As an entrant in that mournful drama, Kandeh Yumkella has made enough informal moves, to at least signal his intention to become the next president of Sierra Leone. Buoyed on the Internet by an army of campaigners, Kandeh Yumkella has unofficially begun the campaign, hence his tacit approval of the media blitzkrieg commenced in his name. There is, however, something noticeably lacking in Kandeh Yumkella’s campaign. While Kandeh Yumkella may be fit for the presidency, his campaigners have, so far, failed to tell Sierra Leoneans why the man should be entrusted with the presidency of our country. The ONLY thing Kandeh Yumkella’s campaign has done so far, is saturate the Internet with pictorial images advertising the man as a senior, United Nations employee. Apart from their readiness to be pictorially extravagant on the Internet, Yumkella’s supporters have not told us HOW a UN career would make their man, a better president. At its core, the presidency—especially in a newborn democracy like Sierra Leone—requires a candidate with applaudable qualities and virtues. When it comes to democratic principles like accountability, the United Nations cannot pass muster. If Kandeh Yumkella is as politically conscious as he is supposed to be, he would know that a UN career is too questionable to be used as a main talking point, in a presidential contest. Over the years, the UN’s image has been sullied by so many embarrassing allegations of corruption and inefficiency, that the organization needs to rehabilitate its international image. As a public relations move, Yumkella should rely more on his professed values and political vision, and less, on his UN career. In a democratic and politically conscious society, a presidential candidate who invokes his previous status as a UN bureaucrat, could inflict a public relations disaster, on himself. Beset by allegations of corruption, child sexual abuse in its peacekeeping missions, and a perceptible lack of accountability, the UN should NOT be used as a synonym for responsible leadership. In politics, perception is reality. When the UN was enmeshed in the Iraqi “oil for food” scandal several years ago, the organization emerged with a disquietingly stained image. Energized by charges of bribery and villainous cover-ups, the “oil for food” scandal solidified the perception that the UN bureaucracy is deceitful and incompetent. I am not arguing that all UN bureaucrats are venal and inept. The point I am making is that the UN’s image has been tarnished by so many administrative improprieties, that a presidential candidate from that organization is better advised to arm himself with messages based on personal values. Established after the bloodiest conflict in human history, the UN was designed to promote human rights and facilitate the peaceful settlement of international disputes. Rendered ineffective by a bloated bureaucracy, the UN has informally forsaken the democratic ideals of accountability and diplomatic suavity, which prompted the organization’s birth in 1945. Since its creation, almost seventy years ago, the UN has absorbed a series of scandals, likening the organization—in the eyes of its critics—to a horribly-governed “Banana republic.” Wastefulness, a sterile bureaucracy, lack of accountability and the use of cronyism to employ its upper-echelon workers, are some of the vices associated with the United Nations. Needless to say, these malpractices are the same vices responsible for the destruction of Sierra Leone. Kandeh Yumkella cannot look at any politically conscious Sierra Leonean in the face and argue that his status as a senior United Nations employee is what will make him a better president of Sierra Leone. Such a stillborn argument can be dismissed by any enlightened Sierra Leonean. Kandeh Yumkella has enough time to remould and advertise himself as an embodiment of the qualities Sierra Leoneans need to see in a president. Integrity, a deep but judicious amount of nationalism, intelligence, practicality, prescience, and commitment to social justice as a norm, are some of the virtues we need at State House, in Freetown. Despite the noble intentions behind its creation, the United Nations, or the careers of its functionaries, cannot be realistically used to justify a man’s claim to the presidency, of a country in distress. 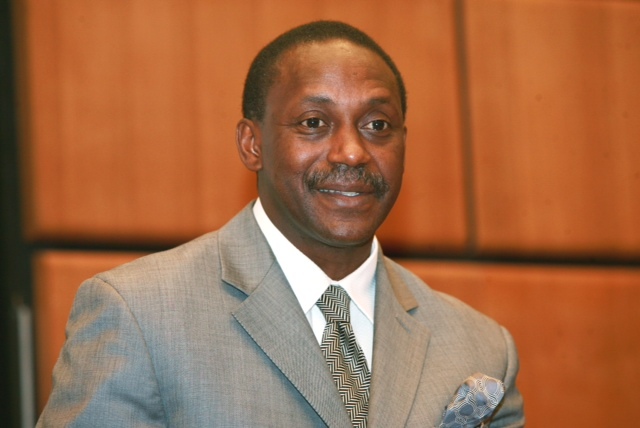 A successful career at the UN means Kandeh Yumkella may have influential friends within the international system. While that component could be helpful, the essentials of leadership, especially in a broken-down country like Sierra Leone, require more useful hallmarks. The UN is so perceptibly wasteful and unaccountable, that no conscious Sierra Leonean would vote for Kandeh Yumkella based purely on his tenure at that organization. If I ever decide to support Kandeh Yumkella, my support will not be based on the man’s “dazzling” career at the UN. I am too politically conscious to fall for such a facile stunt. Displaying pictures of Kandeh Yumkella and the United Nations Secretary-General, Ban Ki-moon, will NOT impress politically conscious Sierra Leoneans. If it happens, my support for Kandeh Yumkella will be based on his political values, the extent of his political consciousness and, of course, his perceived ability to govern that mindlessly molested country, Sierra Leone. If he really means business, Kandeh Yumkella needs to take off that United Nations apparel, and tell us why he should be given the highest office in our weeping country. Sankara Kamara is a Sierra Leonean academic, writer and political analyst. EDITOR’S NOTE: The views expressed here are purely those of the author, and do not represent the position of Concord Times. I really like the piece. I hope we all take it to heart, see it as an objective piece, and digest the fact that leadership is not shrouded on accolades. May God give us the best man for Salone. Erudition and lucidly cogent points stick out when one glean Sankara Kamara ‘s argument. However, the academic failed to realise that what he so aptly paints as “politically conscious Sierra Leoneans “, are in a negligible, fractional minority. And, that the thrust of the crux here is that Sierra Leonean electorates are susceptibility bamboozled by faux pas and faux internationalism from whose suspect premise , their craters and apologists, can get and way with political jiggerish- Scotland free. The sticky point here – is not the talking points that Yumkella campaigners should be accenting- but the usual suspect: “the ignorant and illiterate, poorly informed and easily dazzled disproportionate voting majority!” Once Yumkella’s band of merry men can circumspect that fractional intelligentsia and wand savvy, political savant posse- they will be home and dry! However, Sankara Kamara, I wholesomely applaud ur Insight and incisive thrust at what SHOULD – instead of what Is – when addressing and searching for the loincloth from which a president should be cut out of. Alas, we are eaons away from such perspectival notions and emotional intelligence esprit de corps when choosing the man/woman who should land the top slot! God bless you, sir! I entirely agree with the thrust of this well expressed piece. However, it only touches on one part of the problem. If Dr. Kandeh Yumkell can show he was a misfit in that rotten organisation, and demonstrate those personal and leadership qualities we require in our next President, the fact that he has worked within such an International organisation, especially if he held such portfolios with responsibilities that would hold him in good stead as the leader of a country then that will be a bonus. a two-term former Director-General of the United Nations Industrial Development Organization (UNIDO). a second four-year term in office in December 2009.
was appointed as Chair of UN-Energy in 2008 by the UN Secretary-General. Herald Tribune , and The Guardian. He has also appeared on several international broadcast networks, includingCNN’s Amanpour programme, BBC, Sky News, Aljazeera and CNBC. In December 2005, Dr. Kandeh K.
four-year term in office in December 2009.
helped to coordinate the UN response to energy issues. energy efficiency and enhanced deployment of renewable sources of energy. trade-related technical assistance to developing countries in the UN system. Facility (APDF) and UNDP Regional Bureau For Africa (UNDP/RBA). monetization of the rice subsidy. for a second term in office. climate change deal and beyond. coordination body dealing with energy-related issues. general, green industry and renewable energy . Government officials on environment and development. It is very disappointing to read some of these comments. We still have a long way to go in terms of constructing simple sentences. I am a Nigerian, walking the history lane Sierra Leone and Nigeria, has got a lot in common, from our heritage, to our ways of life, our names, the bond that we share as Africans. Now is the time we need a bridge builder, the scourge,that almost raveged all this aforementioned, the test of our will to stay alive and afloat, rather than allowing our troubles and worries to deprive us of being that choice destination worthy of emulation. Before we start castigating ourselves have we tought of restoring our national image and pride.. what happened to the Forabay College, the birth place of elitist movement in Africa. None of the comments said earlier by other contributors seems bad, we just had to identify what we want, first as African, afterwards, as Leonians. Nigeria was at the brink of collapse, the people decided, and they voted for the change we needed, now is here and we are at peace. be proud of yourself as S/Leonian and vote for the change you need. I hope Sierra Leone does not miss the amazing opportunity of electing Kandeh Yumkella as its next president. He is an intelligent man with proven leadership capabilities. A president like KKY will raise SL’s international profile several notches higher and especially help attract significant investment interest in SL.